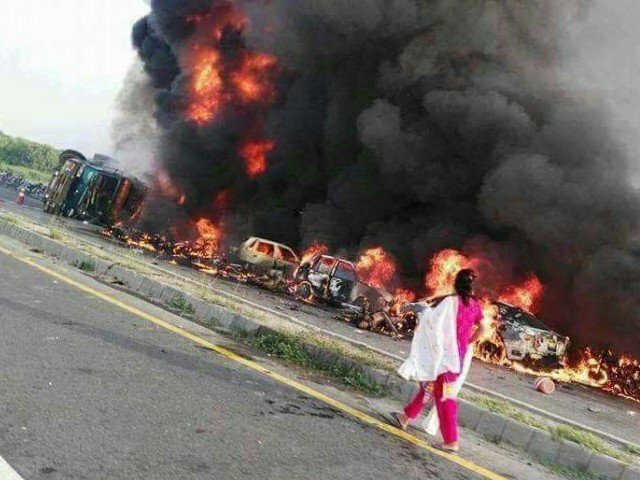 BAHAWALPUR / MULTAN: A harrowing tragedy struck Punjab just a day before Eid on Sunday when an overturned oil tanker exploded in a huge fireball on the outskirts of Bahawalpur, killing more than 140 people and injuring scores more. The early morning disaster occurred on a stretch of highway cutting through the village of Ramzanpur Joya as crowds scrambled to collect fuel from the tanker before it ignited, ignoring warnings to stay clear, government officials, rescue workers and witnesses said. The speeding tanker carrying 40,000 litres of fuel overturned on a main highway while travelling from Karachi to Lahore. The driver lost control when the vehicle blew a tyre. A large crowd of people gathered, many to collect fuel in containers. “The tanker overturned around 7am. The residents of Ramzanpur Joya rushed to the site with buckets and other containers, and a large number of people on motorcycles also came and started collecting the spilling fuel,” said Regional Police Officer Raja Riffat. The tanker exploded in a huge fireball some time later. According to Riffat, some 137 were killed in the inferno, their bodies charred beyond recognition. Several sources however placed the toll at as high as 146. At least 115 more were injured, according to the officer, and were shifted to hospitals in Bahawalpur and Multan. Army helicopters helped airlift at least 60 people with serious burns to Multan. An estimated 20 children were among the dead, Punjab government spokesman Malik Muhammad Ahmed Khan said. Provincial officials said DNA tests were being used to identify the deceased. Residents could be seen walking past blackened and twisted bodies piled by the roadside. 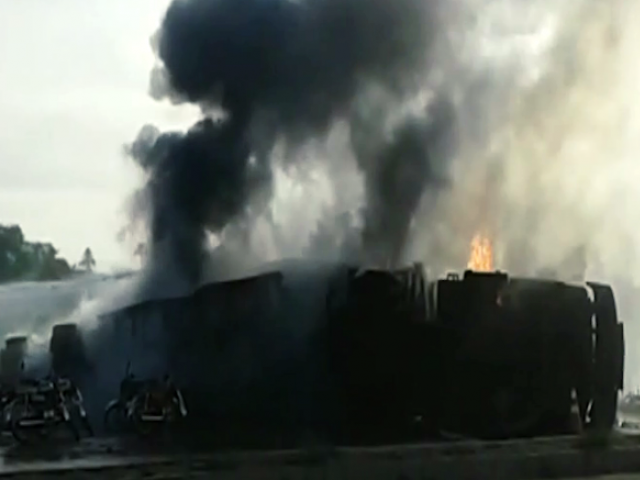 Television footage showed shooting flames and a thick plume of smoke as firefighters battled to extinguish the blaze. The charred wreckage of dozens of motorcycles and cars was scattered on the highway, along with kitchen utensils, pots, water coolers, jerry cans and buckets which victims had brought to collect the petrol. “What kind of ill-fated day is today?” one woman asked tearfully. Villagers said many of the victims had been related to each other. Khalil Ahmed, a 57-year-old former government employee who lives in the village, said he had lost 12 relatives in the fire, which firefighters extinguished in two hours. “People were collecting oil in bottles, cans and household utensils. We tried to get them to move back before the fire started but no one was listening,” Ahmed said. He estimates that about 100 people from the small hamlet are missing. “The day of judgment has arrived for our village,” he said. COAS expresses grief on losses in oil tanker incident. Directed provision of full assistance to civil admn in rescue/relief effort (1 of 2). Army Aviation helicopters sent for evacuation of casualties to hospitals / burn centres. Hospitals placed on high alert. (2 of 2). Hafiz Sohail said his uncle and cousin were among the victims. “Everyone in the family and the village is deeply shocked. Nobody is able to explain what just happened,” he said. Mohammad Shabbir, another villager, said the driver was shouting for people to stay away because the petrol could explode at any time, but no one listened. “What is the use of this petrol, what will you do it with now?” he asked, pointing at a bucket in his other hand. Police had tried to clear the area before the tanker exploded but people ignored them, said provincial government spokesman Khan, adding that the initial crash had blocked the road, causing a traffic tailback. Pakistan Motorway Police spokesman Imran Shah also confirmed residents ignored police warnings to stay away. Prime Minister Nawaz Sharif expressed his grief and directed provincial officials to provide “full medical assistance”. 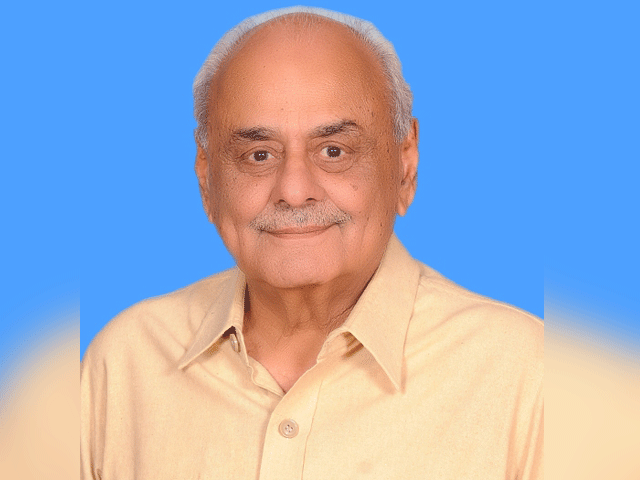 China also sent its condolences, its Foreign Minister Wang Yi said in Islamabad where he was holding talks with Pakistan’s President Mamnoon Hussain. Expressing sorrow, Punjab Chief Minister Shahbaz Sharif announced Rs2 million rupees for the heirs of people killed in the accident and Rs1 million for the families of those injured. Interior Minister Chaudhry Nisar offered to provide the Punjab government any federal resources it required for rescue and relief efforts. The grisly tragedy took place as many were already unnerved by a series of deadly militant attacks across the country Friday, with officials Sunday increasing the death toll from the assaults in three cities to a total of 69. Rescue officials say the van had to be cut to pull out casualties. Sheer stupidity, why was the driver arrested ?? its the sheer stupidity of the people themselves and lack of timely response from the govt reinforcement should have been called to clear of the people from the tanker site as soon as possible.